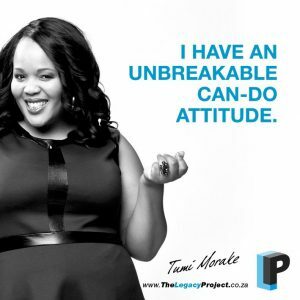 Tumi Morake is a performer at heart. Her acting career began in 2004. On discovering a knack for comedy, she branched off onto the stand-up comedy circuit in 2006. 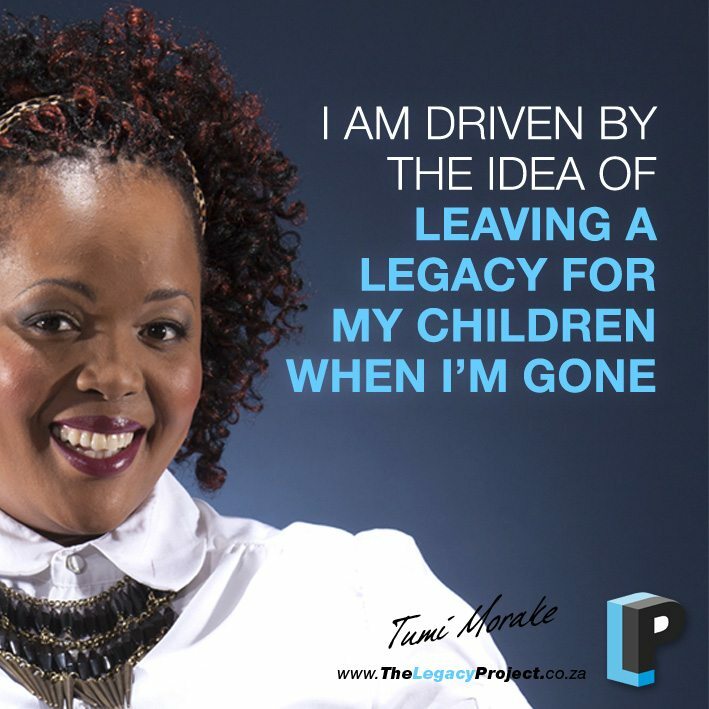 Tumi has performed on stage, on television and in films. 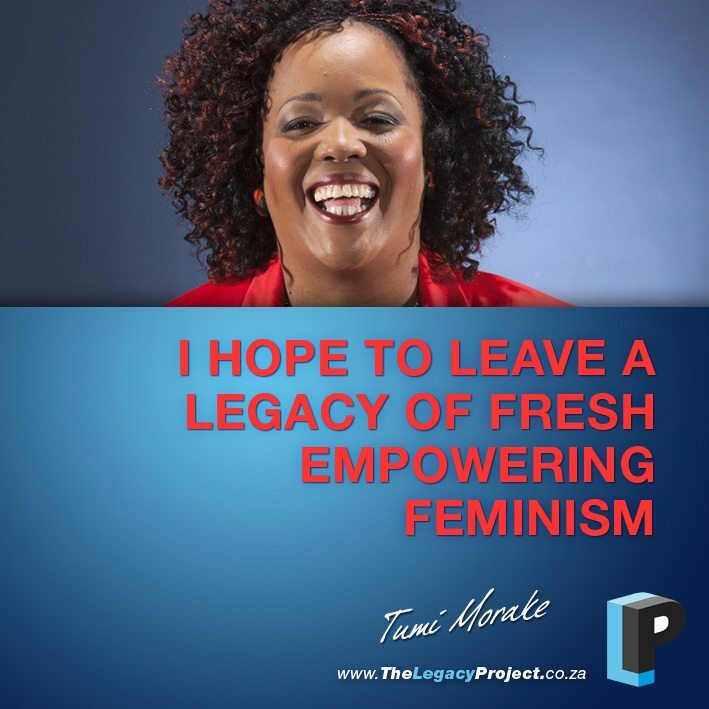 Tumi has managed to keep a firm footing as one of a handful of successful female comedians on the corporate and commercial scene. Tumi loves walks on the beach, which doesn’t help her because she is based in the concrete jungle that is Johannesburg. My Definition Of Success | Success means achieving my goals beyond expectation. It is being fulfilled. I Am Driven By | The idea of leaving a legacy for my children when I’m gone and the passion for the Arts. My Highlights | Being nominated twice for the comic of the year where the votes came from my colleagues in the industry. Performing outside of South African soil. Meeting two Nobel laureates in my life: the late Nelson Mandela and Desmond Tutu. Marrying my husband. Owning my home. The Difference Between Good And Great | The people who are great at what they do love what they do. The people who are good labour at what they do. A Key Talent | I have a gift for taking the best of criticism and notes and choosing to improve. 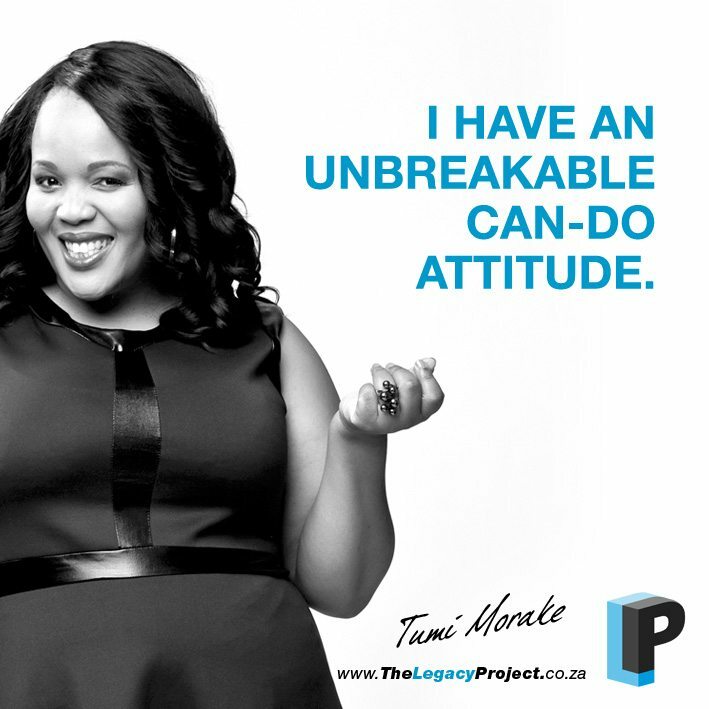 I also have an unbreakable can-do attitude. The God-given talent I came with was comic timing, yet channeling the comedy, learning to read an audience and understanding how I am perceived came from sitting with people who have more experience. You hear things you don’t want to hear sometimes, but you consider whether they are being said to build you or break you. If you are an ordinary person like me with a dream of entertaining people and making a real living out of it, have goals, physically go out and get yourself noticed and prepare yourself for rejection. I had many people shut doors in my face, but those doors that did open led me here. Don’t just go knocking on random doors either, learn from your previous attempts and you will begin to identify those doors worth breaking down. The Characteristics Of Success | Good humor, humility, honesty, persistence, positive attitude, self-respect. Principles I Live By | Maintain an attitude of servitude for your people. Respect and integrity are important. Make sure you can back every utterance and every action you take. Lessons I Have Learnt | Learn to maintain clarity on your journey. Once people believe you can deliver they begin to throw all kinds of possibilities your way. If you are clear on what it is you want and what serves your purpose you will not be derailed by other people’s agendas. Resources I Use To Stay Inspired | Well, I always try to keep up with what’s trending on social media. I spend time with all kinds of artists to keep my mind ticking. And I have conversations with strangers. The Artist’s Way helps unblock my mind when I find myself going through a slump. My Future Dreams And Ambitions | I would like to expand my career overseas – USA, UK and the African continent. The Best Advice I’ve Received | Surround yourself with people who inspire you. Advice On Building Wealth | Don’t try and keep up with the Jones’. Save a huge chunk of your money every month. Tithe. I Am Inspired By | I’m motivated by waking up to a beautiful family and especially motivated by my husband who always keeps me grounded. Knowing that my mother was a pioneer in her own right makes me want to be remembered as such. The idea of being in the Entertainment history books excites me and keep me going. My late mother, sister-in-law and every woman I read about who is a first in their industry. Women like Lillian Dube who have grown and evolved with the industry are an inspiration. The Legacy I Would Like To Leave | I hope to leave a legacy of fresh empowering feminism. The power of consciously choosing to pursue a career and raise a family on my terms. To run my family and comedy as successful businesses that serve the people who matter the most. Performing At My Peak | I make sure that I aim to be better than my last performance. I pick one aspect, because I don’t want to over do it. I also keep up with the trends and I know what crowd I’m working with or rather performing for and that always helps with coming with new material and of course with new material opens up to an even bigger audience.